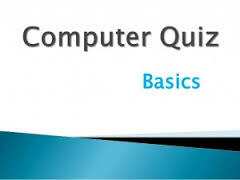 we are daily uploading important computer questions this topic related questions always asking for railway, patwar police , SI , RAS, and other competitive exam. Q3.Which of the following is not intended Tranjhakshnjhprasnskrn system? निम्नलिखित में से कौन सा ट्रैन्ज़ैक्शन्ज़प्रसंस्करण प्रणाली का उद्देश्य नही है? Q4. Use a proxy server is used for which of the following? प्रॉक्सी सर्वर का प्रयोग निम्नलिखित में से किसके लिए किया जाता है? Q7. The primary difference between a virus and a Vorm is? एक वायरस और एक वोर्म के बीच में प्राथमिक अंतर क्या है? Q11. An external organization to provide access to the Internet for Web pages generally use what is implemented? एक बाहरी संगठन का इंटरनेट वेब पेजों तक पहुँच प्रदान करने के लिए सामान्यत: किसका उपयोग कर कार्यान्वित किया जाता है? Q12. On the main page of the web site and all of the following identifying a specific computer terminology is? निम्नलिखित में से पूरी साइट के वेब और मुख्य पृष्ठ पर एक विशिष्ट कंप्यूटर को पहचानने वाली शब्दावली कौन सी है?